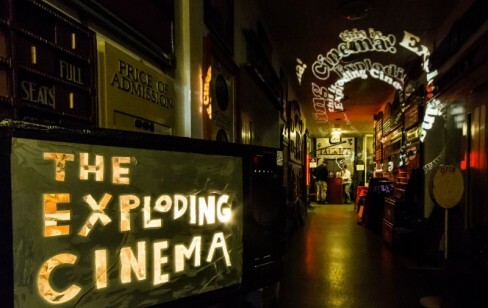 Exploding Cinema presents a show where the technology making the films is disposable. It’s never been easier to shoot high quality high definition video, and the tools to do it with are more widespread than just phones: toys, scanners, USB microscopes, vehicle reverse cameras, CCTV monitors… they often serve a single purpose and when they’re done with, they are disposed of. However… creative people are gettng their hands on them, and they are making films with them and we will be showing them. 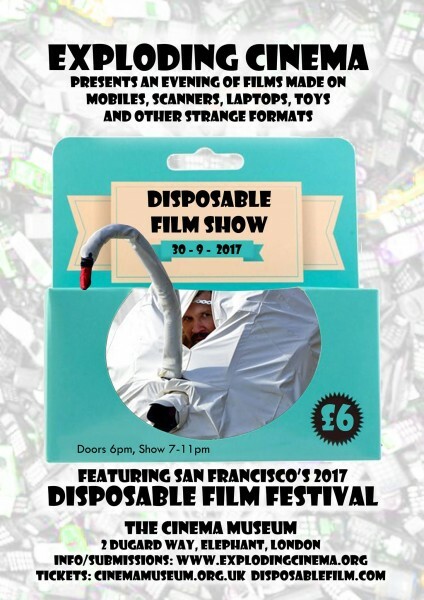 Featuring from San Francisco, the 2017 programme of the Disposable Film Festival. Submissions open until 15th September. 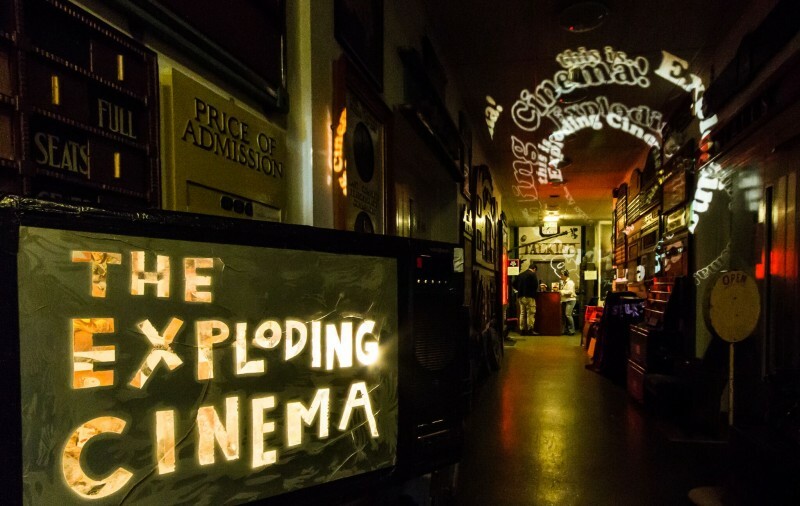 Send a link to your film to explodingcinema@hotmail.com. Title your email ‘DISPOSABLE SUBMISSION’ and include your name, phone number, duration of the film and medium it was made on. Films must be under 20 minutes and be made on a phone or other Disposable or novel medium.